Just south of the famous crash that inspired the movie “Alive” is the Argentine ski resort of Las Lenyas. Numerous studies showed that this place is ideal for Argentina skiing based on topography, snow accumulation, and accessibility. First discovered by a botanist in the mid 1800’s, Las Lenyas ski resort opened officially in 1983 and currently is one of the largest South America ski resorts. It is located 248 miles (399 km) south of Mendoza in the heart of the Argentine Andes. 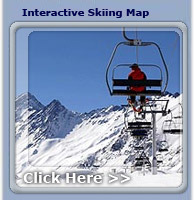 The ski terrain is serviced by more lifts than any other ski area in the Western Hemisphere. As a result, Las Lenas offers an overwhelming array of Argentina ski options for beginners, intermediates, advanced, and expert skiers. The resort is also known for its casino, nightlife, and international clientele. The South America skiing at Las Lenas is epic. A typical description is: “On a clear day, you can ski forever.” However blizzards and heavy winds are common, especially in July and August. The weather and avalanche danger often close Las Lenyas at this time. The best time to visit the mountain is in the spring. To get an idea of the diversity and breadth of terrain, combine the resorts of Vail and Snowbird in the North American Rockies. The backcountry and ski touring are phenomenal. Places to check out include El Collar peak and the bowl at Entre Rios. Most of the visitors to the Las Lenas ski resort are strong, experienced skiers, however, intermediates will find the resort comfortable as well. There are plenty of groomed ski runs for those with less experience. Ski Argentina's most famous resort! After pushing your limits on the epic slopes, head to the internationally acclaimed base operations for some fun and relaxation before the night gets underway. Shops, a tea room, and a kids club are available. There is also a gear room for renting or storing gear, and a transportation service, complete with hot cocoa and a snack, ready to take you wherever you need to go. There is a lounge for relaxing that serves tea, coffee and also provides internet, movies and games. After a day of skiing in Argentina you can choose from over 17 restaurants to satisfy your appetite. You may decide to educate yourself about the resort’s fascinating history, geology and ecology at the Museum, located at the center of the complex. Here you can peruse exhibits on area archeology, geology, ecology, astronomy, and the institutional history of the resort. The Museum was put together by staff with strong support from the resort and fulfills a long-standing desire for such a resource by the community. There are specialty weeks that focus on anything from Wines to Tango, for those interested in a cultural experience as well as skiing in South America. Get ready for action at Las Lenas ski resort. The nightlife is famous here. You can enjoy music, dancing, dining, and the highest casino in the world. The 40 slot machines, sophisticated bar, Blackjack, “Punto y Banca” and poker tables are worth the gamble. The discos and pubs are vibrant with people, lights, and the latest music ready to dance the night away. UFO Point is a restaurant that serves up snacks and great music in preparation for a night out dancing, or a break amidst the tumult. There is also a movie cinema that features shows to interest all ages.